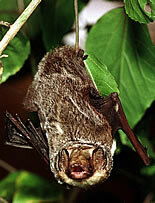 The Hawaiian hoary bat is also called the 'ope'ape'a and is a subspecies of the North American hoary bat. It weighs five to eight ounces and has a wing span of 10.5 to 13.5 inches. It has a heavy, brown and gray fur coat, and its ears are tinged with white, giving it a frosted or "hoary" look. The Hawaiian hoary bat is the only native mammal species of Hawaii. Females are larger than males. The Hawaiian hoary bat prefers a solitary life and typically leaves its roost just before the sun sets and returns before the sun rises. It prefers to feed on insects flying over streams, bays, or along the seacoast, and it can eat up to 40% of its own body weight in a single feeding. 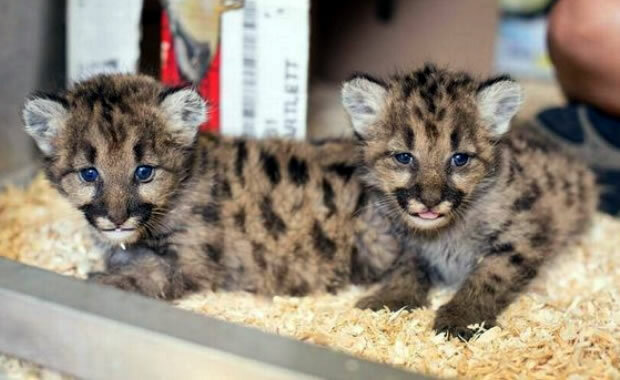 Little is known about its reproductive behavior, but females have been known to give birth to twins during the summer months. The current population is unknown. Causes of decline include habitat loss, pesticides, predation, and roost disturbance. The US FWS has developed a research and recovery program to learn more about the species and to restore a healthy population. Copyright Notice: This article is licensed under the GNU Free Documentation License. It uses material from the Wikipedia article "Hawaiian hoary bat". Glenn, C. R. 2006. "Earth's Endangered Creatures - Hawaiian Hoary Bat Facts" (Online). Accessed 4/19/2019 at http://earthsendangered.com/profile.asp?sp=533&ID=7. Need more Hawaiian Hoary Bat facts?